The aim of Graffiti Removal Day is to encourage members of the public to volunteer their time and become involved in the removal and prevention of graffiti. 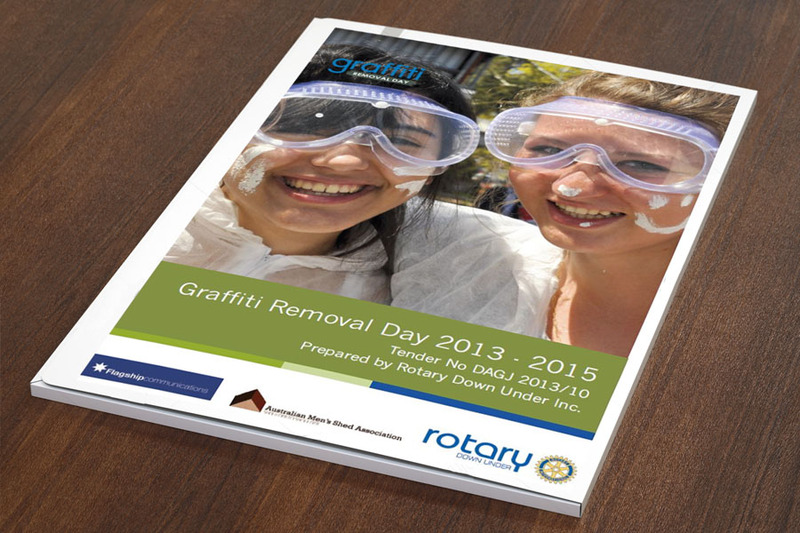 To select a provider to deliver and promote Graffiti Removal Day, the NSW Government undertook a competitive tender process. This process required potential suppliers to prepare and submit a detailed offer outlining their: appreciation of scope of works, previous experience, proposed team, approach and budget. Flagship Communications was engaged by Rotary Down Under to prepare a tender submission. Our work included: analysis of the tender documents, writing of text and CVs, preparation of an annual budget, selection of relevant photos and graphic design. As a result of Flagship’s involvement Rotary Down Under was able to present a professional tender submission, which was successful in a highly competitive field.